Mali Mish – Who is Eddie Bauer? Most of you not living on Mars have probably heard of the name Eddie Bauer. Who knows, maybe even some of our Martian subscribers have heard of them and just haven’t had to time to comment on our blog. Yet. If you are one of these people who have heard of the name, what does the name mean to you? Is it just a brand name? Does it convey some type of lifestyle and environment? 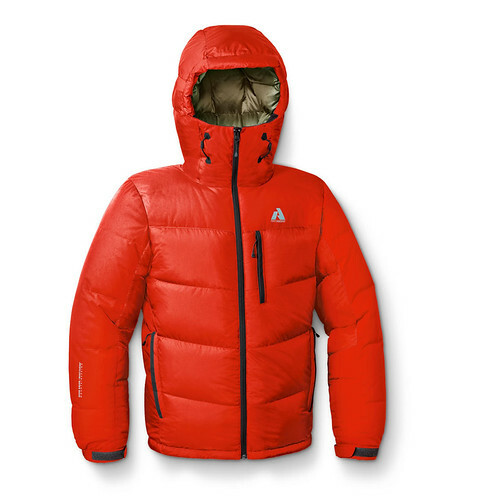 Or maybe it just reminds you of your last trip to the mall where you saw some sweet down-filled winter jackets. Well for me, its a little bit of all of them. A good buddy of mine from high school use to work at one of their stores. One that pretty much looked just like this one. He claims ’til this day that it was the best job he has ever had. There might be just a tad of hyperbole but who wouldn’t love getting employee discount on all the cargo pants your minimum wage paycheck can afford? 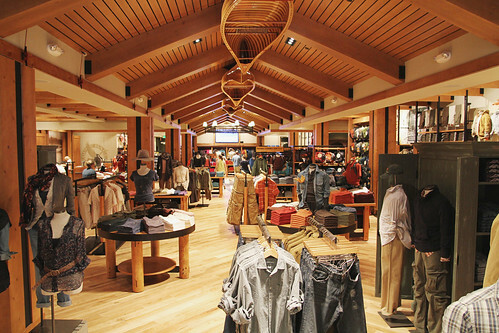 Jokes aside, Eddie Bauer does represent the very outdoors men lifestyle that embodies the spirit of campers and travelers around the world. It is not just all sweater vests and cargo shorts, they also make some of the most serious outdoors gear under Eddie Bauer’s First Ascent brand for people much braver than myself. People who spend their days climbing over glaciers, trekking across deserts and foraging through jungles. People like the young boy born in 1899 who was taught to fish and hunt by his German-speaking Russian immigrant parents in the Pacific Northwest: Eddie Bauer. 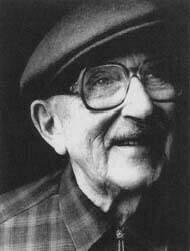 Here is a photo young Eddie who started a little store in his early 20’s called Eddie Bauer’s Sport Shop. 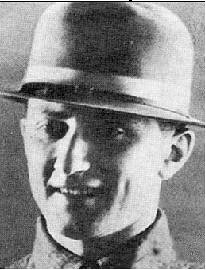 This is him much later in life. Eddie Bauer passed away in 1986 of natural causes. In this photo, he still has that same great smile as he did some 60 years prior. The company since its founding has gone through many corporate makeovers and leadership transitions. However the spirit of the outdoors have alway stayed true through nearly a century of existence. Another thing that has stayed consistent is their ability to collaborate with other companies. 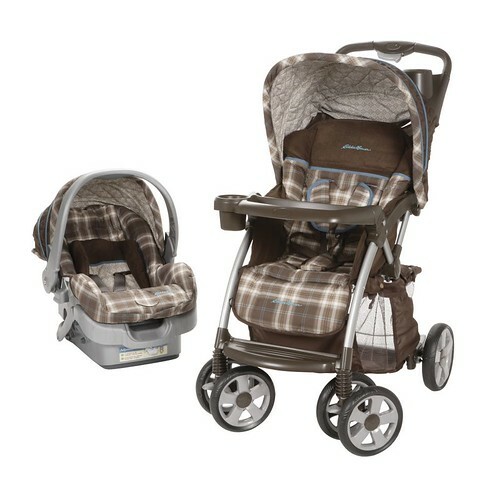 If you are a parent, you have probably seen the Eddie Bauer line of strollers and car seats. 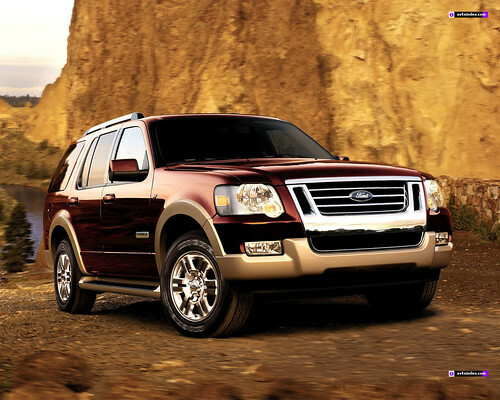 Or maybe you have seen one of their Eddie Bauer edition Ford Explorers that have been rolling around for nearly 10 years. 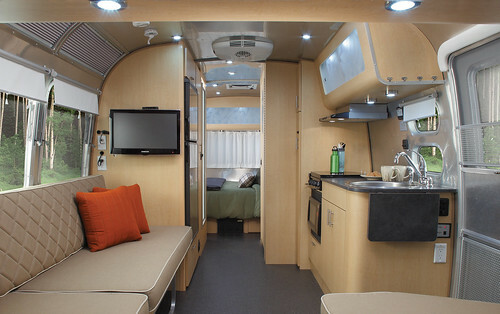 Automobiles are not the only thing they have deemed worthy enough for the Eddie Bauer name, in early 2010, they collaborated with Airstream to create an one-of-a-kind PanAmerica that bears the First Ascent name. It spent the entire winter traveling between ski resorts searching of fresh powder and to lay down first tracks. 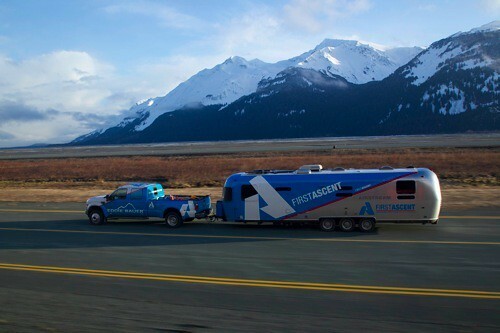 Talk about a match made in heave, the FirstAscent Airstream was definitely a head turner. It was completely custom built for the FirstAscent ski team on the then brand new PanAmerica platform. It was the first Airstream to feature a rear lift gate that turns a 34-ft trailer into a toy hauler with a garage. 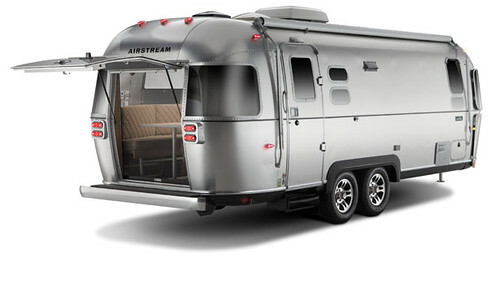 A year later, the partnership culminated to the recently launched new model fittingly called the Eddie Bauer Airstream. The Eddie Bauer Airstream is basically a souped up Airstream 25 ft FB. In fact, the 25 FB is the exact model that Mali Mish is. 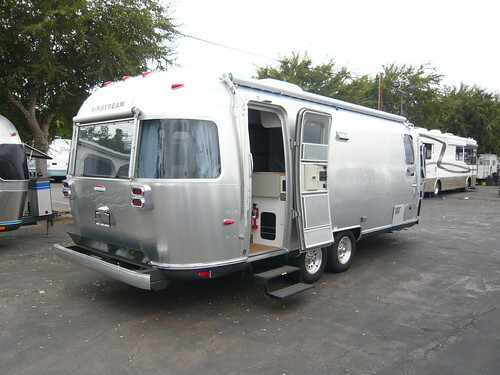 Ours happens to be the International Ocean Breeze edition but the floor plan is identical to the Eddie Bauer Airstream. Here is Mali Mish on the day of us picking her up at the dealership back in October of 2008. There are obviously some differences between ours and the Eddie Bauer. The obvious and most significant one is the rear lift gate. What the lift gate allows the owner to do is to easily load kayaks, surfboards, snowboards, bikes and whatever you might be into directly into the rear of the trailer with ease. On top of that, it really brings the indoor and outdoor spaces together so you can sit at the dinette with all the comfort of home yet feel like you are connected with the great outdoors. The Eddie Bauer Airstream also got a handful of added features that make it more suitable for the adventurous type like high ground clearance, larger wheels and tires as well as wheel wells to protect the aluminum body from those rocks you might fling up while towing her through the woods. The interior also gets a special makeover in order to wear that Eddie Bauer badge. It is sort of a mash-up of the International line and the Safari (Flying Cloud) model with the essence of Eddie Bauer thrown in. Unveiled a month ago at the world famous Sundance Festival in Park City, Utah, the new trailer officially goes on sale this month and will start showing up at your local dealer soon if it isn’t already there. If you like what you see, be ready for it to take a real bite out of that wallet. Simply fork out the MSRP of just north of $73,000, you too can be the envy of everyone at your trailer park. So go out an get one of these bad boys. After all, it’s just money. As if you didn’t already know, just like diamonds, Airstreams are forever.